This week on We Hear You, Michelle Walker, Director of Jindi Woraback Children’s Centre, tells us about their Quality Improvement Plan and how they incorporate into their daily program. ACECQA is a girl with a blue face, red and pink hair, pink arms and a green body and legs. She likes to eat fruit, ride her bike, read books and draw. 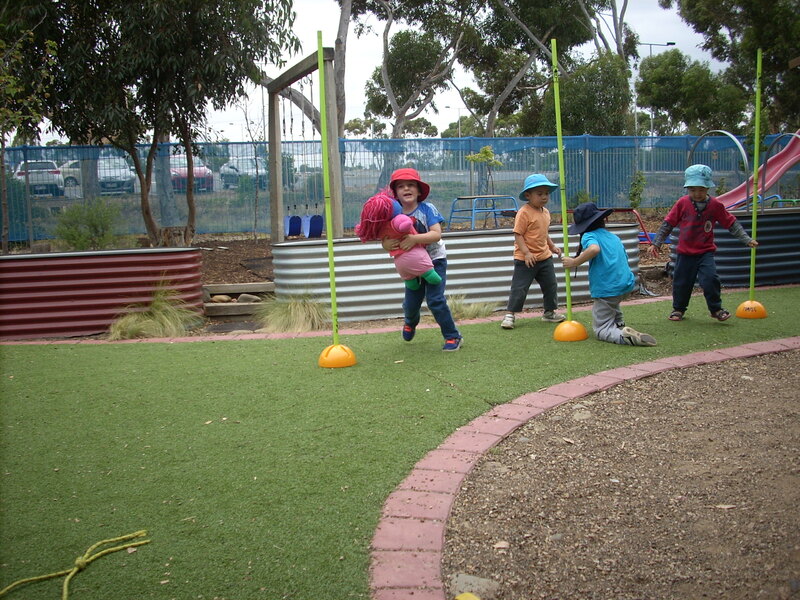 This is ‘ACECQA child’, the newest addition to Jindi Woraback Children’s Centre (Jindi Woraback) in Victoria. During the process of reflection whilst developing our Quality Improvement Plan (QIP), we decided to develop a visual QIP that would involve the children, educators and families. After our assessment and rating visit, we wanted to ensure we were continuously working on our QIP. Our visual QIP was placed in a common area, which became a meeting place of ‘Belonging, Being and Becoming’ where children, educators and families could share their stories. ACECQA child was developed to encourage the children to contribute to the QIP at anytime and for the children and their families to drive its development. We see children as the directors of the service and our children determine what we do and as educators one of our roles is to facilitate this. I thought ‘ACECQA’ sounded like a child’s name, so we began by talking with our children about ACECQA being lost and that if they shared with each other what we like doing at Jindi Woraback then maybe she will come and join us. The children decided what ACECQA looked like and what she liked doing. We then built ACECQA child, which was introduced during group time. Now ACECQA lives in the room with the children, moves from activity to activity, joins in our Friday Kinder Sports program and has her own portfolio for children to contribute their observations of what ACECQA likes to do while at Jindi Woraback. She is a vessel for the children to be able to have their say as they tell us what they want. ACECQA child has been a way to introduce ACECQA to the children and families and make their QIP fun and interactive as well as reduce paperwork. The children drive the QIP and rather than the educators going away to make notes we involve the children. No one is telling us to do mountains of paperwork so we try to think of ways to reduce the paperwork. Now ACECQA is discussed everyday, so rather than just turning up when we have our assessment and rating, the educators, children and families are comfortable because they are working with it all the time, and we can all just enjoy the process. Zac takes ACECQA out to play outside.